Getting from A to B without a car can be slow and tiring, whether walking, cycling, or spending hours waiting for buses, but with your very own electric scooter, you can zip around town in no time. You might also consider a hybrid bike, but with an electric scooter there’s no need for any pedal power at all. Electric scooters aren’t only for transportation, either, you can choose to ride them just for fun! We reviewed dozens of electric scooters to identify the best of the best. To find the best, we considered a number of factors including speed, battery life, range, safety, cost, and average customer reviews. This fat tire electric scooter is the thing of your Harley Davidson dreams. 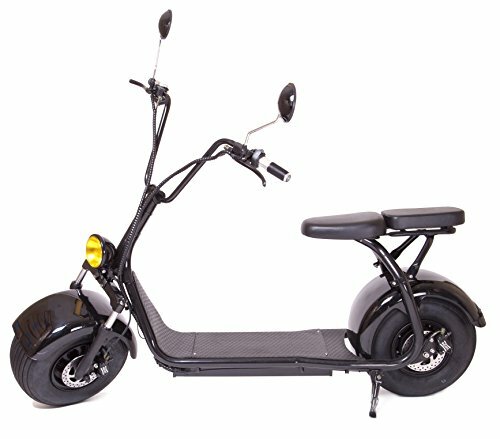 After extensive research, it was clear that the eDrift Electric Fat Tire Scooter should be our top pick. With its chopper-style good looks and a top speed of 27 miles per hour (MPH), this seated electric scooter really stands out from the crowd. You only need to look at the eDrift Electric Fat Tire Scooter to see that it’s something special. This electric scooter is designed in the style of a fat tire motorbike, while still retaining the electric scooter style. It’s a seated scooter, but you can also ride it while standing, should you prefer. It comes in both white and matte black finishes. The top speed is 27 MPH and it has a range of roughly 25 miles with the standard battery or 75 miles with the optional upgrade. It’s completely street legal and doesn’t require a licence or any kind of registration to ride. The hydraulic disc brakes let you stop quickly and effectively, while the kick stand keeps your scooter upright while stopped. The only real drawback to this electric scooter is the price tag. If you want one of your own, you’ll have to shell out between $1,200 and $1,650, depending on which battery size you choose. Sleek, lightweight, and easy to transport when folded, this is the ultimate commuter scooter. If you’re looking for an electric scooter to make your work commute a little easier, the Glion Dolly Foldable Lightweight Adult Electric Scooter is a fantastic choice. The dolly and vertical self-standing systems mean that you can easily pull this scooter along like a rolling suitcase when folded, so it’s great for people who take a train or bus for part of their commute, but who want to speed up the last leg, where they would usually walk. Of course, it’s not just made for commuters, anyone can enjoy this scooter! With a 15 MPH top speed and 15 mile range, it’s a zippy little scooter for its compact size and is extremely fun to ride! The brushless, gearless motor is powerful quiet, and efficient. Traveling for around 500 miles on just $1 of electricity, it’s extremely economical to run, too. Using military grade honeycomb technology, the tires give you a smooth ride, but never need pumping or go flat. 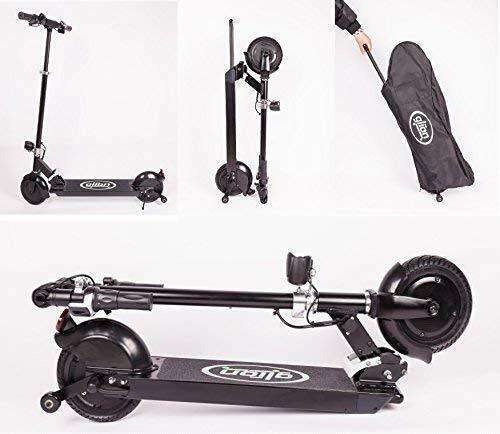 Although it’s more affordable than our top pick, the Glion Dolly Foldable Lightweight Adult Electric Scooter still doesn’t come cheap, retailing at around $500. If you’re serious about using an electric scooter, it’s well worth the cost, however. An affordable electric scooter designed for kids, or teens and adults under 120 pounds. 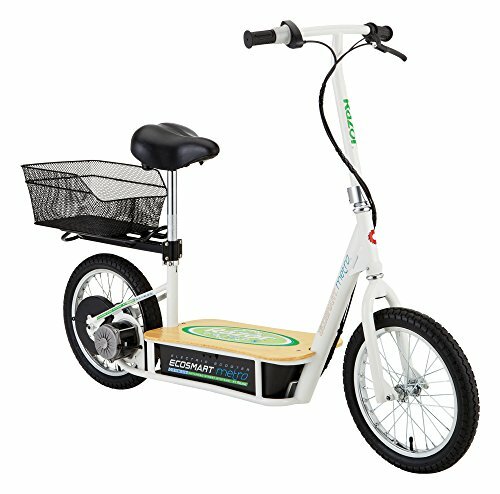 Not everyone has hundreds of dollars to spend on an electric scooter, so the E125 Electric Scooter is perfect for buyers on a budget. The $150 price tag is definitely appealing, but the downside is it’s only suitable for riders of 120 pounds of less, which rules out a good chunk of adults. If you do come under the maximum weight limit, or you’re buying for a young person, you’ll get a compact, lightweight scooter that’s surprisingly quick for its size. The handle bars are adjustable to accommodate riders tall and small. It might not be as quick as higher end electric scooters, but the maximum speed of 10 MPH isn’t to be sniffed at. In fact, it’s quicker than some small scooters, so make sure to buy a kids’ bike helmet for any little ones. While it can vary depending on a range of factors, the average battery life is approximately 40 minutes, so it’s not the best for long journeys, but it’s fine for zipping around your garden or around your neighborhood. This fun, speedy electric scooter is suitable for older kids and teens. While not one for the littlest of children, the Razor E300 Electric Kids Scooter is a compact model suitable for kids of 12 and up. The high-performance chain-driven motor can power this scooter up to speeds of 15 MPH, with a run time of approximately 45 minutes in total, which is enough for kids to ride up and down your street, to their friends’ houses, or to school. Speed up with the easy-to-use twist-grip throttle, and slow down or stop with the convenient hand-operated rear brake. Some small electric scooters can give you a bumpy ride, but the 10-inch tires on this model help keep you smooth and steady. When you want to stop and park up, the kick stand will keep your scooter upright. If you’d prefer your kids to ride around your yard, rather than on the sidewalk or out and about, you’ll be pleased to know it works well on grass, as well as hard surfaces. As a high-performance kids’ scooter, it isn’t the cheapest option out there, costing around $375. That said, it’s a scooter your child can grow into and ride all through their teenage years. It might not be the coolest electric scooter, but it’s a functional choice for grown ups. Young people have the luxury of being able to race around town on their scooters without a care, whereas adults need to make more sensible choices. With its seat and basket/luggage rack, the Razor EcoSmart Metro Electric Scooter is the grown up choice, but you can still have a lot of fun with it, too! Aimed at the eco-conscious adult, this scooter is a low-impact way to get around town, whether going to work, to the grocery store, or running errands. With a top speed of 18 MPH and a 40-minute continuous run time, you can get around 12 miles on the Razor EcoSmart Metro, which is generally more than enough to zip to the store or meet a friend for coffee. The powerful 500-watt (W) motor is virtually silent, so you won’t be contributing to noise pollution, either. If you want one of these for your own, you’ll need to pay around $400. Sure, it’s not inexpensive, but it costs next to nothing to run and maintain. You might be wondering who electric scooters are designed for and whether or not you should buy one. Electric scooters are great for a range of different groups. First off, there are the commuters. If you live just a little too far from work to make walking a possibility, an electric scooter is a great option. You won’t get stuck in traffic, there’s no waiting for trains or buses, and it’s around five times faster than walking. Next, there are people who want to reduce their carbon footprint. Using an electric scooter to run errands or take short journeys is far more eco-friendly than driving. Finally, you have the fun-seekers. Riding an electric scooter is entertaining for kids and adults alike, so some people buy electric scooters just for fun. Speed. How fast do you want to go on your electric scooter? Some models can go as fast as 25 MPH, whereas models designed for kids usually have a top speed of 5 to 10 MPH. Average adult scooters manage around 15 MPH. Of course, you can go slower than the top speed if you choose. It’s also worth noting, you might not be able to reach the top speed if you’re close to the maximum weight limit. Battery life. The battery life, or run time, usually refers to the length of time an electric scooter can run continuously. So, if your scooter has a 40 minute battery life, you could do 20 in the morning and 20 minutes in the afternoon before you need to recharge, it doesn’t have to be all in one go. Range. The range is how far you can go on a single charge. If the range isn’t listed, you can work it out roughly by looking at the speed and the run time. For instance, you can expect a scooter with a 15 MPH top speed and a one-hour run time to have a range of around 15 miles. This isn’t exact, however, because some scooters have a slightly shorter run time when you go at full speed. Weight limit. All electric scooters have a maximum weight limit. If you a scooter when you exceed the weight limit, you could damage the scooter and injure yourself. Portability. There may be times when you get caught short and run out of battery before you get home. As such, your chosen scooter shouldn’t be too heavy or bulky to carry for a few blocks. Some high-end models let you roll them along while they’re folded up, which is great for taking your scooter on public transport. Seats. While you might expect to stand on an electric scooter, some models have seats. Not everyone wants a seat on their scooter, but it can be good for longer journeys or for older riders. What is an electric scooter and how does it work? An electric scooter is much like a push scooter, but it features an electric, battery-powered motor to propel you along, instead of you pushing yourself along with your foot. With some electric scooters, you get on, turn on the motor, and off you go. With others, you need to push off with your foot to start and then the motor kicks in automatically. What does an electric scooter cost? Electric scooters vary in price from around $100 for basic kids’ models to over $1,500 for powerful, high-end models. Average electric scooters cost between $300 and $600. How fast is an electric scooter? The maximum speed of an electric scooter varies. Those designed for adults generally reach a top speed of between 15 and 25 MPH (though faster options are available, up to around 40 MPH), whereas kids’ models are slower. How far will an electric scooter go? This depends on the maximum speed and the size of the battery. The longest range we’ve seen on an electric scooter is a whopping 75 miles, but the majority can go between 10 and 20 miles before they need recharging. We looked at 20 other electric scooters. Even though they didn’t make our 5 best electric scooters list, they’re the best of the rest and each is still a great option. The information you’ll need to compare each one is included with the listing. 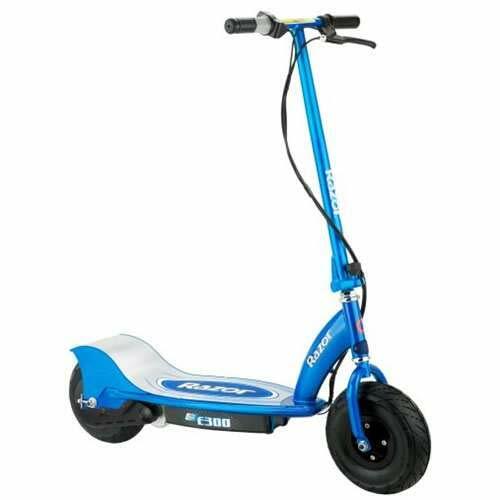 With a 6 MPH top speed and a maximum range of five miles, this is an excellent choice for younger kids, although it can take riders of up to 120 pounds. Disney Princess fans will adore this pink scooter adorned with Jasmine, Belle, Cinderella, and more. It even blows bubbles out of the back while your kids rides. How’s that for magical?! Although this electric scooter is suitable for ages six and up, it can reach a formidable top speed of 12 MPH, so close supervision is needed for younger children. This powerful electric scooter with seat is suitable for kids aged 6 to 14. The maximum speed is an impressive 12 to 14 miles per hour. A tiny scooter for tiny people, this is the perfect first electric scooter for preschoolers, with a low maximum speed of just 2 MPH to keep your little one safe. An excellent little kids’ scooter for ages eight and up. The chain-free motor requires very little maintenance and the 80 minute continuous run time will make your children happy. A powerful fat tire electric scooter with a built-in seat that’s great for making longer trips in style and comfort. The 20 MPH top speed will get you places quickly. It might technically be more of a trike than a traditional scooter, but it looks great an is extremely fun to ride, so it certainly deserves an honorable mention on this list. This all-black fat tire model is one of the coolest electric scooters around. It comes with a seat but you can ride standing up, if preferred. Front and rear brakes make for effective slowing and stopping. The 500W brushless hub motor gives this fat tire scooter all the power it needs to get you where you want to go. And quickly, too, with a top speed of up to 20 MPH. This self-balancing electric scooter is a dream to ride. The app acts as a Bluetooth remote, as well as providing firmware updates and anti-theft tracking. While it has mixed reviews due to some quality control issues, the majority of buyers who get a fault-free model love it. The app lets you activate cruise control, track your speed and location, turn on the headlight, and more. A sleek electric scooter with a quiet brushless motor and air-filled tires for a smooth ride. The app lets you change the color of the integrated LED lights and track your ride statistics. Sure, it’s expensive, but with a top speed of 41 MPH, a 62 mile range, and a two-person capacity, this is a truly exceptional electric scooter. With 8.5-inch pneumatic tires for a smooth ride on bumpy city streets and a foldable, highly portable design, this scooter is designed to make commuters’ lives easier. A durable high-performance electric scooter that costs a lot, but will most certainly stand the test of time. The 40 MPH top speed is impressive, but too fast for navigating city sidewalks. Though slower and less powerful than the D4+ above, you still get plenty of scooter for your money with this model. Choose between a model with a seat or without. Looking for a smooth, comfortable ride? This model features a seat to save your legs and large pneumatic tires to help absorb shocks and bumps from uneven terrain. If you’ve got the budget for it, this lightweight electric scooter is highly portable, easy to ride, and extremely durable. That’s a big “if,” however. 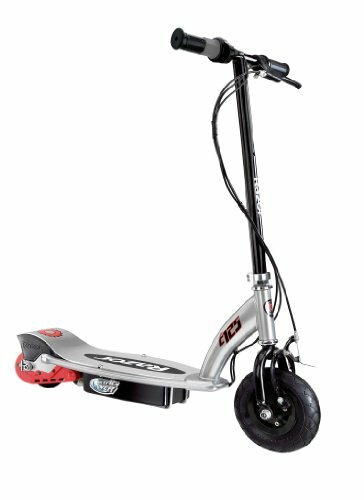 Looking for an electric scooter at a bargain price? It might not have as large a range or as high a top speed as some models, but you can’t argue for the price. Lauren Corona loves kids – especially her three nephews! She's been writing about home- and family-related topics for six years.